In this compilation, the authors evaluate the political situation in Slovakia, a young democracy with a population of over five million and with history of a quarter of a century of independence lying in the heart of Europe, by analyzing the results of the recent general (parliamentary) election held in 2016 and a series of referenda that have taken place in Slovakia over the past two decades. They present the basic rules for the application of parliamentary elections in this post-socialist European country, commenting on the pre-election situation and the chances of individual parties based on the results of pre-election opinion polls. 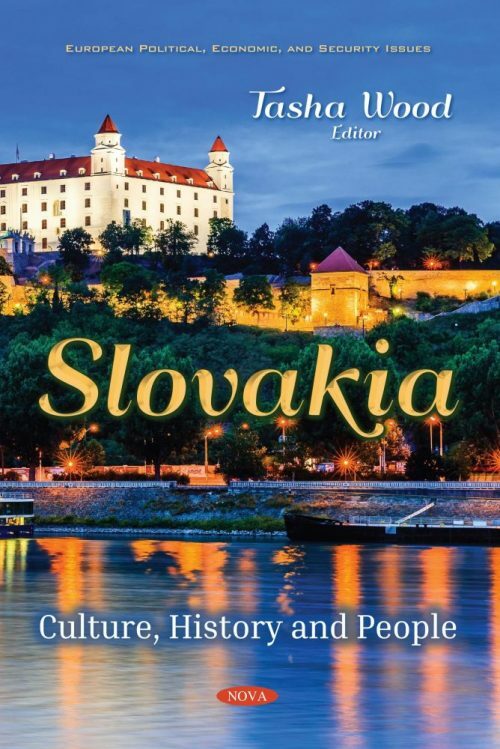 Information concerning an important library located in Bratislava, the capital of the Slovak Republic, is presented in one chapter. The library was founded in 1919, and the first period of its development includes the time of the interwar Czechoslovak Republic from 1919 to 1938, when it was known as the Comenius University Library. The position and mission of the University Library at individual stages, the different ranges of its activities and tasks and the overall potential to fulfil its scientific, cultural and educational mission are also presented. Following this, the authors analyze the historical roots of political radicalism and extremism in Slovakia. The methodology of this chapter is based on historical analysis and statistical analysis of election results, secondary analysis of surveys and analysis of relevant documents and media output. Lastly, asylum seekers’ access to health care in the Slovak Republic is described. Asylum seekers represent a specific group, since they are not included in the Slovak health insurance system. Therefore, they do not have the same rights regarding health care as citizens of the Slovak Republic.